For many, the most important part of the festive period is the entertaining. From a lavish family Christmas dinner to canapes and cocktails with friends, the kitchen becomes the focus. Creating the correct atmosphere in your home will make your guests feel immediately welcome and with the right space to do so, you can put on a party that everyone will enjoy, including you, the host. An open-plan living and dining area works wonderfully for entertaining, creating a space that achieves the perfect balance of socialising and cooking. A spectacularly laid dining table is essential for a family Christmas dinner and in an open-plan setting, the guests and hosts can intermingle, creating the perfect social atmosphere. Coupling your dining area alongside a cosy seating area means guests will also have somewhere to relax and recline after dinner. For evening entertaining, an informal seating area, on an island or breakfast bar is great. 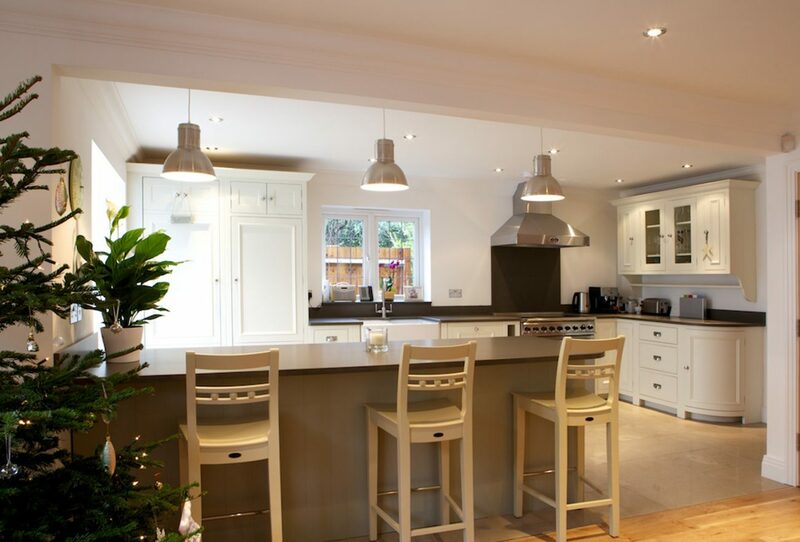 An island can act as a great focus in a room, particularly when laden with beautiful food and drink. People will congregate around it and any high stools will allow guests to take a seat without feeling left out. Finally, the addition of good quality appliances is vital when it comes to the cooking itself. Integrated double ovens will give you plenty of cooking space and details such as Circotherm on NEFF ovens allows you to cook on up to 4 levels at the same time without any flavours intermingling, not to mention the Slide & Hide door meaning you won’t be getting in the way of guests when tending to things in the oven. 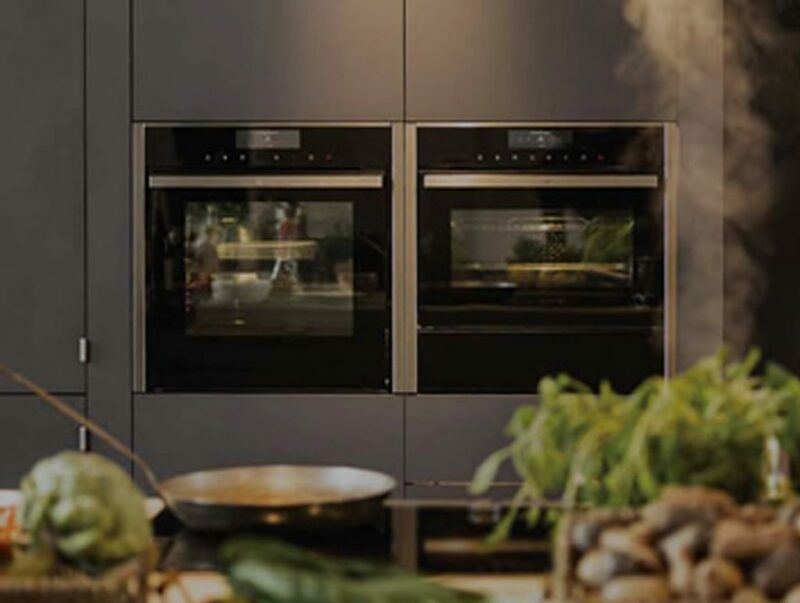 Alternatively leave the cooking entirely up to the oven by opting for a Siemens oven with Home Connect. Just can send all your recipes and cooking instructions straight to your oven from your phone and receive notifications when the cooking is finished via your phone or Amazon Alexa, allowing you to sit back and enjoy entertaining.